If I were to read ‘The Best Way To Build Wealth’ as the title of something, I might cringe a little bit. Generally, it’s pretty hard to claim ‘the best’ of anything. The best hotdog? The best hotel? The best car? It’s all a bit subjective, right? However, for wealth building there is a simple, non-negotiable, strategy that is the best. You have to have more wealth coming in than going out. It’s just simple math. You have to be adding more than you are subtracting. In general, this means making more money than you are spending. This comes down to talent and discipline. Talent will increase the money that you make, while the discipline will limit that amount of money you spend. But, there is one more variable that we are all subject to, that plays a significant role in wealth building: Taxes. The lower your tax burden, the more money you get to keep. For the 1% (this year in the US, that’s anyone making over $480,930), tax efficiency is almost as important as actual wealth creation. In addition to making sure that the money they are making is taxed as low as possible, the wealthy also pursue investments that are tax efficient to begin with. For example, in the US, municipal bonds are tax free. Municipal bonds are basically loans to cities. The interest that investors collect from these bonds are tax free. That’s a major incentive. Look above at that chart again. If half of the the tax-free interest is going to people who make $250,000 or more, then that means that 2% of the population is receiving half of that incentive. Clearly, that is a lop-sided return… the rich get richer… right? It’s true. The rich do get richer. Of course there are always bad actors in any industry, but there is a reason why wealthy people (and companies) continue to get wealthier. They continue to ensure that they are keeping as much wealth as possible. That’s because Ireland has a significantly lower corporate tax rate than the US. For the individual, there are all kinds of tax savings that you can take advantage of by simply looking at your tax law. It’s usually a very good idea to pay someone to do your taxes. And don’t be afraid to pay top dollar, as you usually get what you pay for… and that extra money you pay can often be well worth it in the long run. However, just like major corporations, it’s usually the best to be physically located in a location that has the best tax laws. If you are a non-US citizen, the world is your oyster. You can basically pick from dozens of countries that have favorable tax laws. That’s because non-US citizens do not have to pay their home country income taxes if they are living and sourcing their income from outside of their country. If you are a US citizen, then your options are very limited. US citizens are the only people in the world (except for those in the African nation of Eritrea) that have to pay taxes to their home country regardless of where they live or where they source their income. There are two main options for US citizens, if they choose to live and work outside of the US. First, they can take advantage of the FEIE, which is the Foreign Earned Income Exemption. For 2017, that amount is just over $100,000. So, if you make less than $100,000, you will not pay any US taxes. Second, if you make significantly more money than $100,000, and/or you don’t want to move very far, there is another very good option. And this other option may be one of the greatest locations in the world right now for tax efficiency. You can pay ZERO taxes if you move to Puerto Rico. It’s completely legal and you file your taxes annually with the IRS, just like you normally would… except you keep all of your money at the end of the year. You must live in Puerto Rico for more than half of the year. You pay 0% taxes on interest, dividends, and capital gains. Also, if you set your company up in Puerto Rico, you only pay 4% taxes on your yearly net profit. 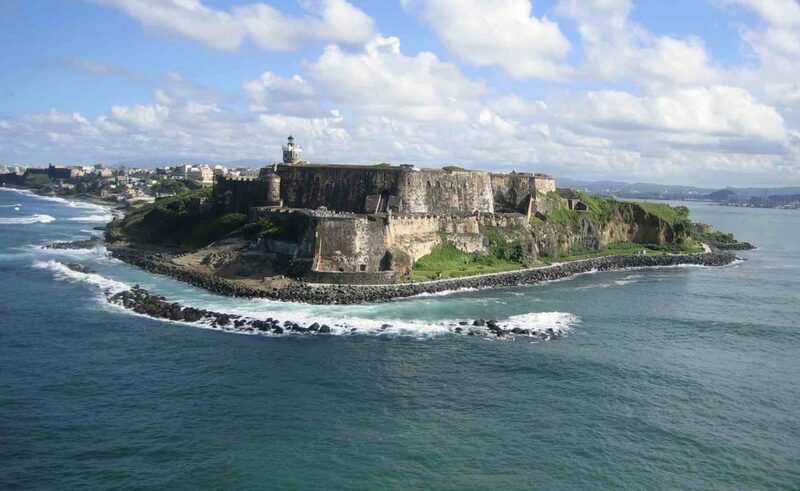 Now, that’s Puerto Rico just form a tax perspective. Let’s say that you are not a US citizen (and don’t care about this tax stuff)… there are incredible investment opportunities there right now. And that’s why we’re going there April 24, 25, and 26. We already have some of the biggest movers and shakers coming to speak. We’ll also be meeting with some of the most connected people on the island… and learning about how we can get involved in investing in those same deals. Our block of hotel rooms (which, by the way, is at a beachside resort) has only a handful of rooms left. We already have dozens of Explorer Partnership members coming.